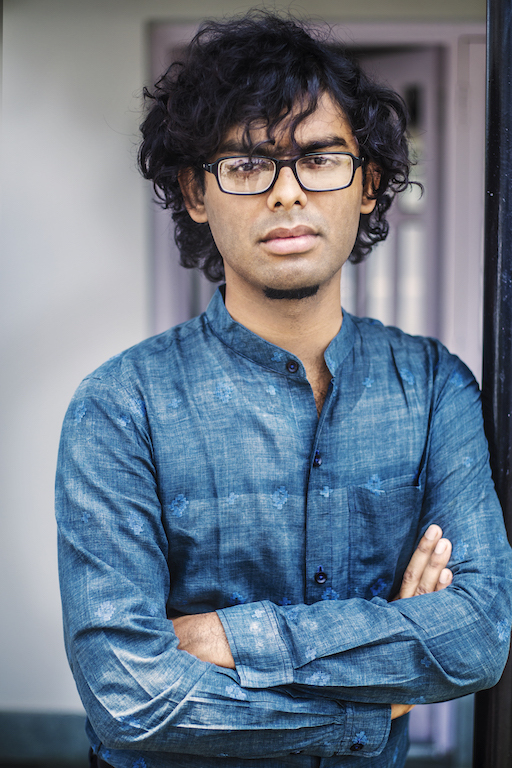 After finishing his course at NID and working in New York, Santanu Das, founder at Maku, decided to immerse himself into his roots and culture. What culminated from this was a deeply embedded desire to reconnect with his past and share his artistic story with a wider audience. 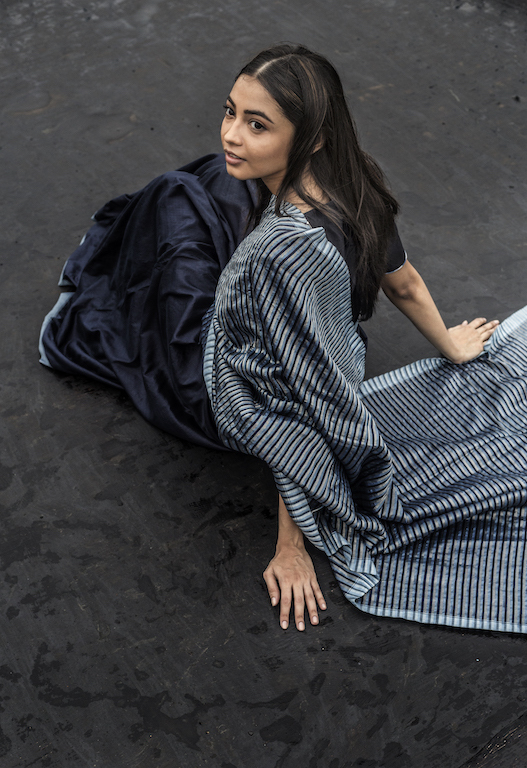 We caught up with Das at Good Earth’s ‘Slow Fashion’ pop-up, as he spoke to us about the ethos of Maku and his new-found community of Dhakai weavers. Where does the name ‘Maku’ come from, and what does it mean? 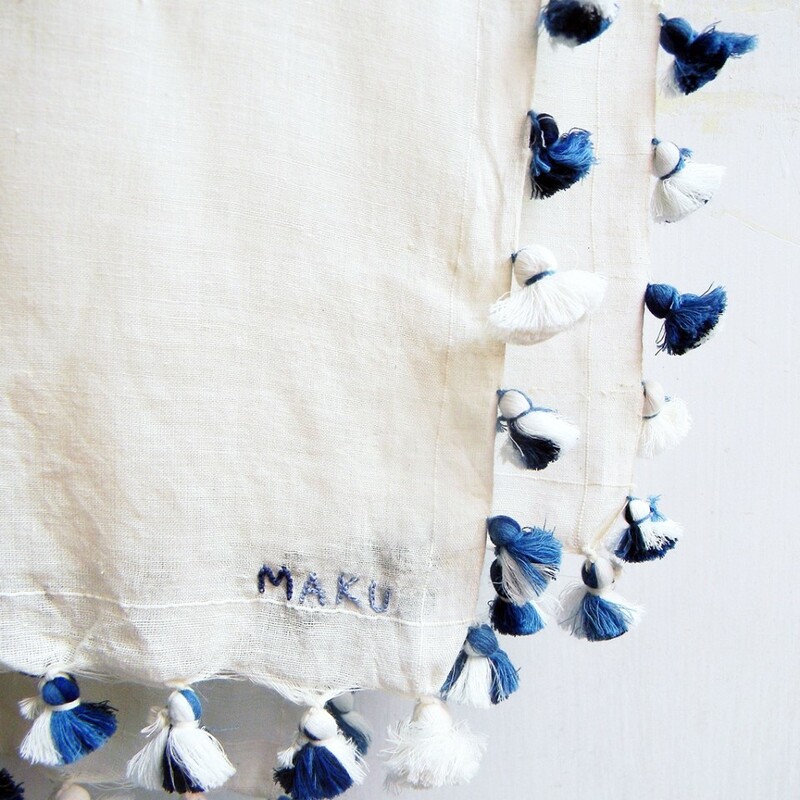 SD: ‘Maku’ is a Bengali word that literally means the shuttle that we use in the handloom. We chose the word because it has two syllables; ‘ma’ and ‘ku’. ‘Ma’ is universal and so no one can really go wrong in pronouncing the name. If those two phonetics are known to you, you can retain it for long. It was a part of our branding. Why does the label emphasise on indigo? 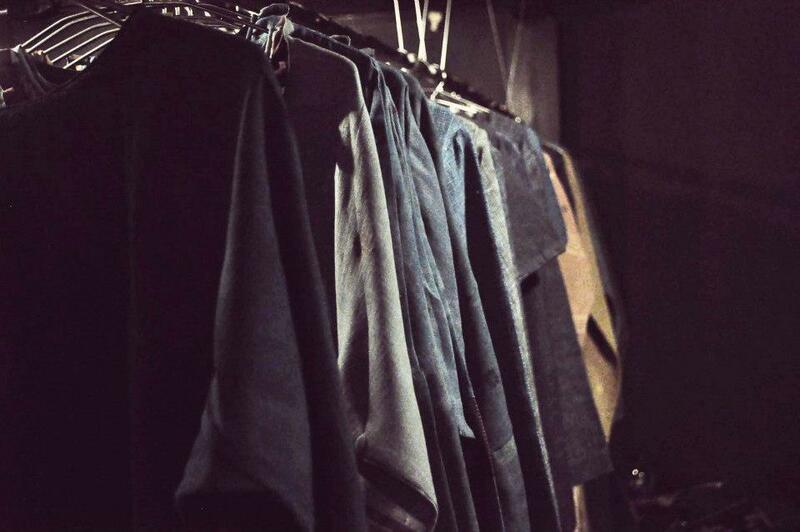 SD: Today, it’s so difficult for us to go and pick clothes from stores because they’re flooded with options. And these options gradually make us intolerant. The idea is to be happy with whatever we have. It’s about knowing what we want, what we appreciate and siding with that. Hence, we thought of branding ourselves with only one colour. That’s how we ideated on indigo. 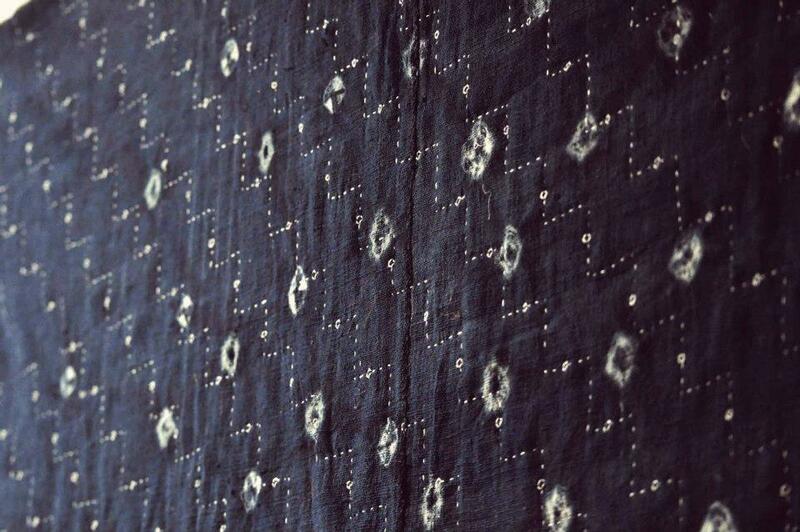 There are so many misconceptions about indigo and that’s one of the reasons why we picked it. 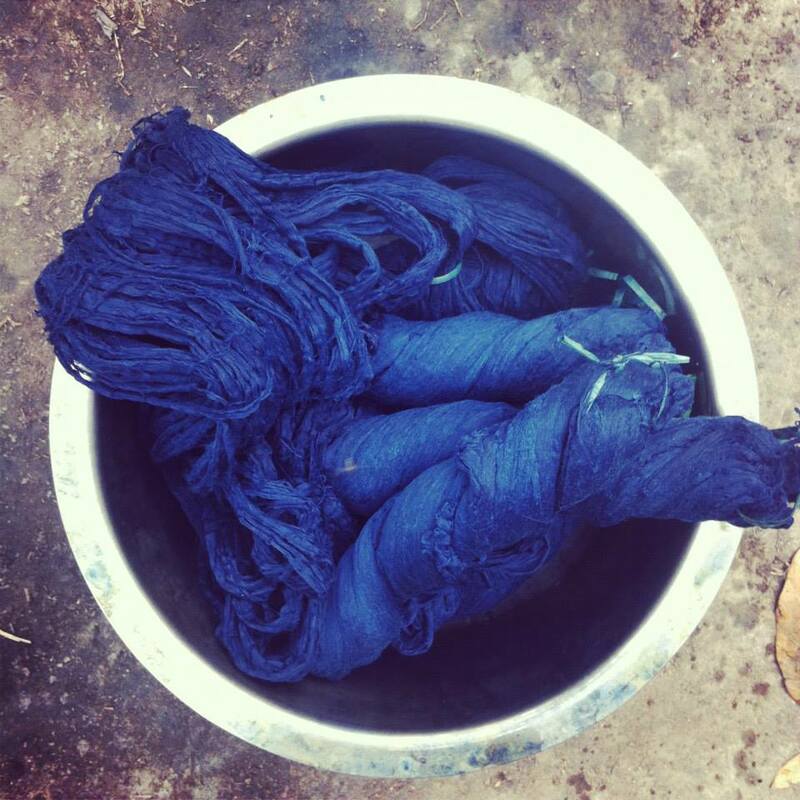 Indigo is hand-dyed and its shade cannot be replicated. You cannot make a recipe for it and it depends on many factors such as yield, climate, humidity, temperature and the bacteria. Its various aspects and external elements are what makes it so incredibly valuable. Today, if we cannot appreciate diversity, we will deliberately kill our enriching culture and the knowledge embedded in it. We symbolised Indigo as the colour of sustenance and now make sure that every piece of clothing will be dyed in indigo or will remain white. The fabric is in its pure form. We don’t look at indigo as a blue, but as a concept of narrowing down the choices, we have. For instance, in black and white pictures, there’s no information in terms of colours, but we concentrate on the composition. Similarly, if I cut down the colours, we are forcing ourselves to look beyond the visual aspect. The whole idea is to create an intimacy with the materials being used. Once you finished college and started working, what prompted you to return to India and to the community? SD: When I was in the US, I wanted to be an artist and was looking for a concrete connection. I was searching for something stronger, something like a revolution within myself; what is it that I’m fighting for? What will I dedicate my life to? 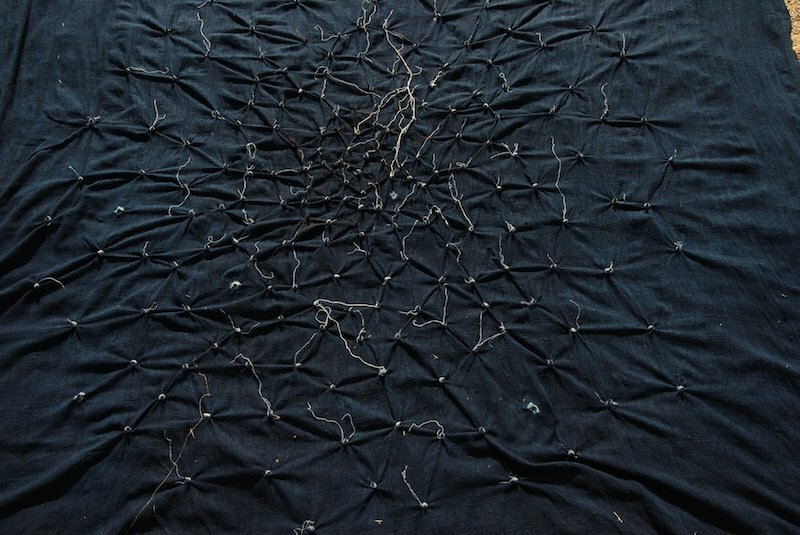 I studied textiles, and if I wanted to address this and practice art, I decided that I should just make it. My art needn’t be in a gallery. It’s in the form of this clothing line. Everyone thought it would be very difficult for us to use just one colour and growth would be challenging. Thus, it demanded a lot of art direction and our curation of the brand. It’s not that we’re only creating good-looking visuals, but we’re building a brand strategically, in terms of its content. There has to be meaning under its skin. Indigo has had such a turbulent past since the days of colonialism. Do you think Maku has been able to change that perception? SD: Indigo was very popular in the days of colonialism but there was a dark side to its growth. It is reminiscent of a time when people were cruel to each other since it was a cash crop and was viewed as money. When we started working with indigo, we twisted its meaning. 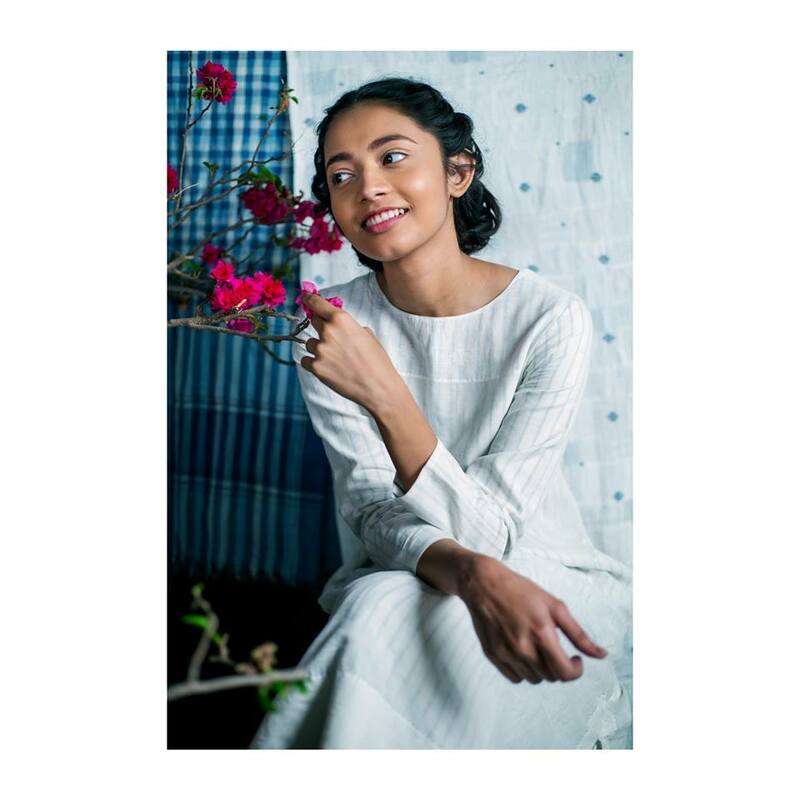 Initially, very few of our clients related to natural indigo because we can’t just cater to people who are aware of natural colours and fabrics. To grow we need a wider audience and this large audience wasn’t aware of what we were selling. So, it was very important for us to create a visual language. The concept is understood much later once the customers start wearing it and feel comfortable in it. 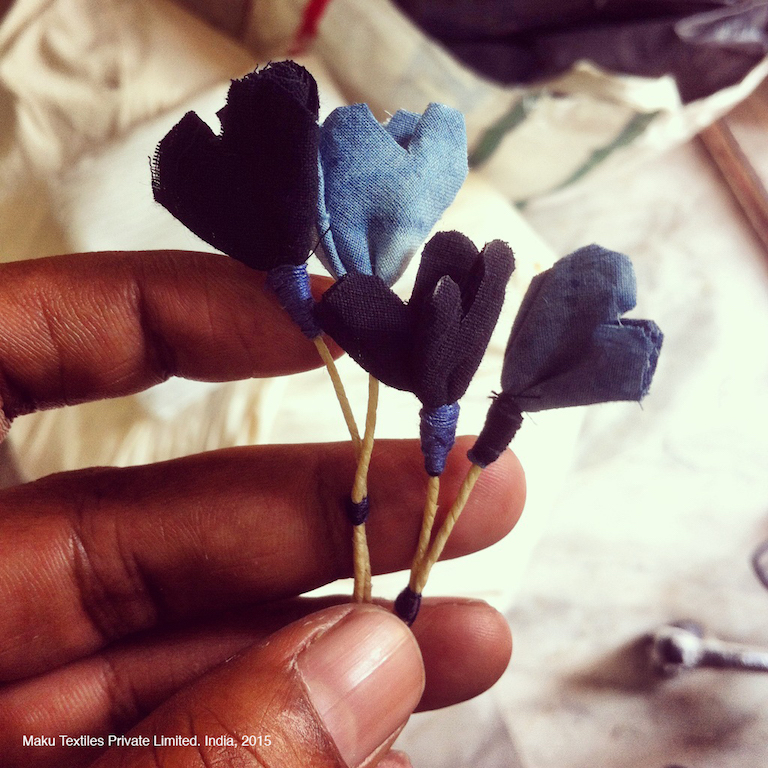 There’s this misconception that Indigo bleeds, and it’s true that India has a lot of indigo craft but it is poorly done. People are scared to use natural dyes. Can you take me through the whole process of production and your creative process through it? SD: None of our designs are made on paper. 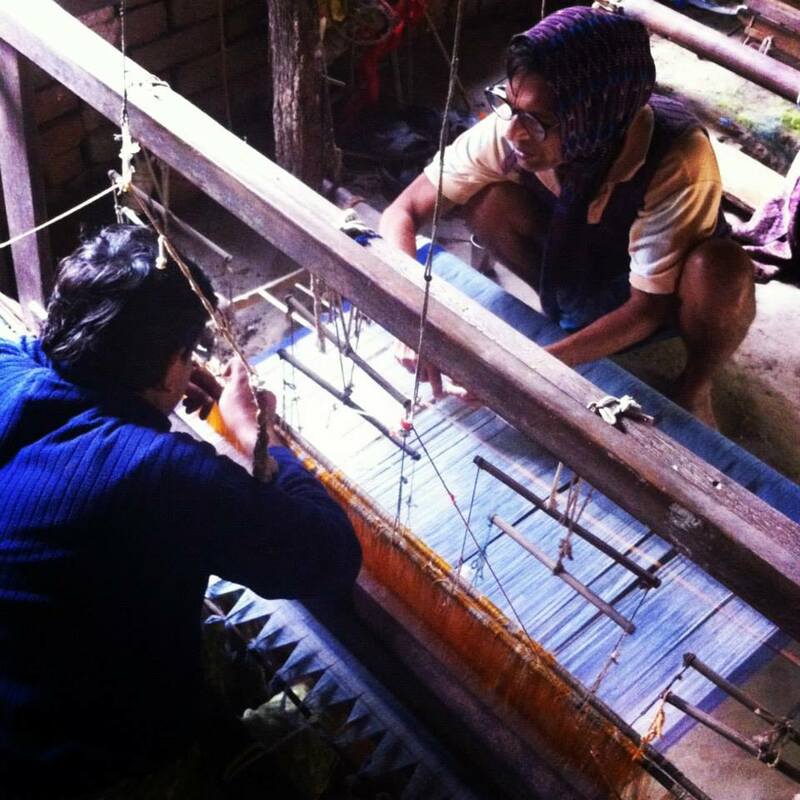 It is an evolving and collaborative process with the weavers. Our projects usually start with confusion since we don’t really know what we are going to do, but we let it be organic and open to possibilities. 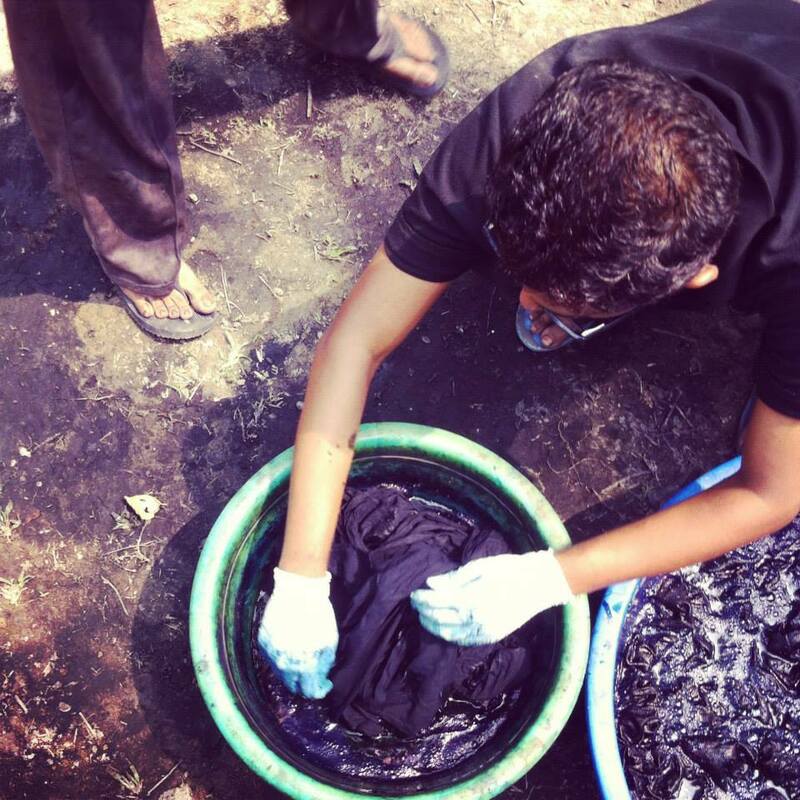 We involve a lot of people in the process, they give their feedback on the clothes and then we refine it. Once the fabrics are ready we design the clothes in terms of how they speak to us and how we want to look at the fabric. What was your motive behind reviving Tangail? SD: Everyone knows about Jamdani. It is a very well celebrated craft practice from Bengal. Tangail is very similar. 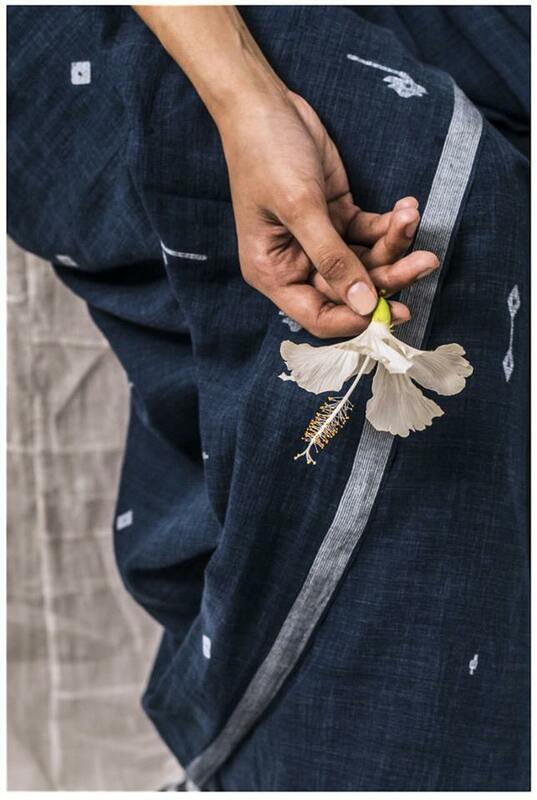 Jamdani was created because the Mughals wanted to replicate their rich embroideries in a finer cut. So, the weavers started using it in their sarees. But of course, common people could not use Jamdani on their sarees. So they adopted the Jamdani technique to produce Tangail sarees, which have a very particular format to it. Today, most of the looms were taken over by the jacquard and the local markets didn’t respond to these old weaves. So, they rapidly changed to jacquard machines and Tangail was almost on the verge of extinction. 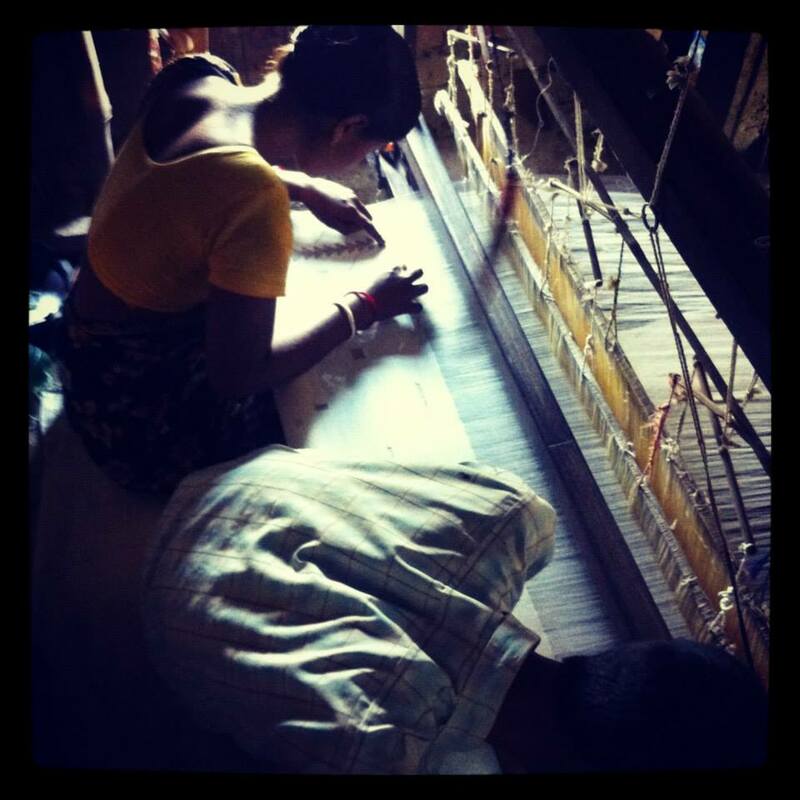 When we visited the Dhakai weavers, we found that they do not make the sarees anymore. It was initially difficult but then we discovered that they had a few unsold Tangail sarees. We bought them and designed on them in an informed manner. We kept doing this for six months to a year, till the weavers realised that we were here to stay. India is not all about trading and money. To work here, it has a lot to do relationships and people. That’s when people start opening up and trust your ideology. It’s very difficult to change something while being on the outside. What is your opinion on the sustainability movement in India? SD: Sustainability is not just to do with clothes. It is a lifestyle that must be adopted. One can’t buy slow fashion and eat McDonald’s at the same time. As a movement though, it is still growing, but in a way, it has turned into a fad. 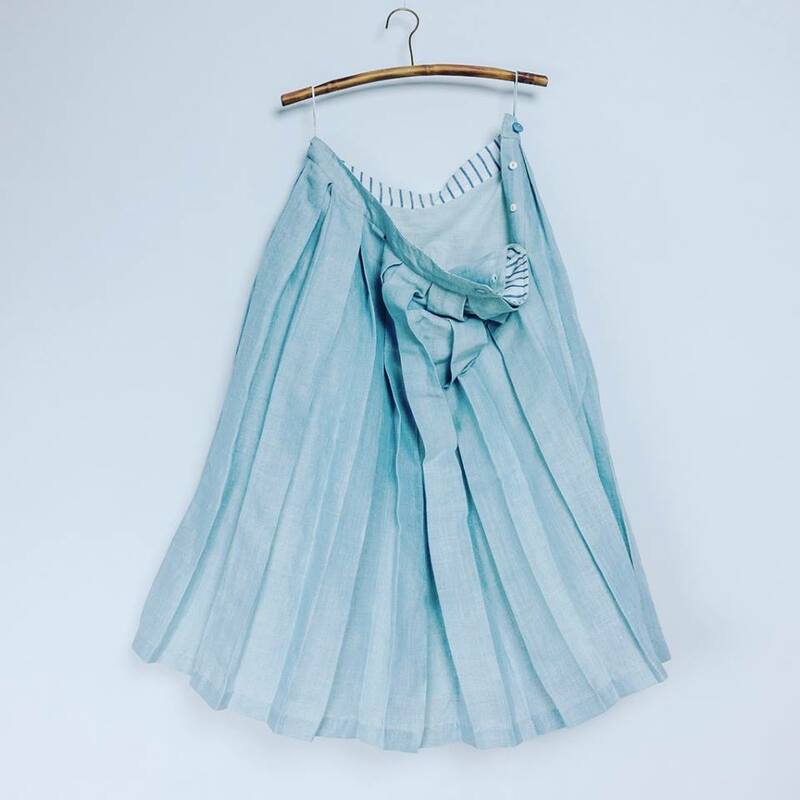 The point of sustainability is not to overtake fast fashion. It is to inspire other business models to produce in a better way.